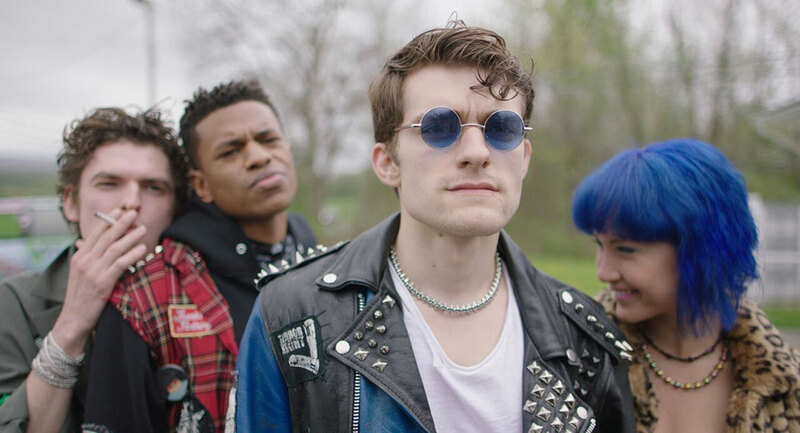 Jenn Wexler’s much buzzed about directorial debut “The Ranger” takes you into the wild…with a wildly unexpected, original and entertaining punk slasher. 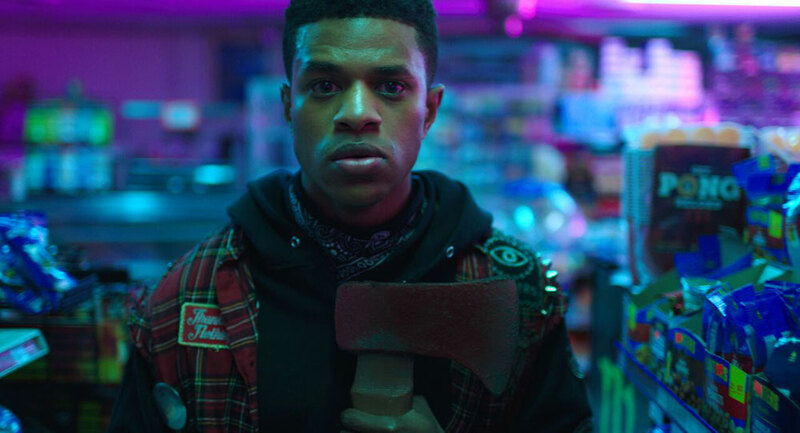 The Ranger is an indie horror slasher of sorts, centering around a psychotic Park Ranger who terrorizes a group of Punks on the run. Now, this definitely sounded interesting to me. In fact, ever since the film’s premiere at last year’s SXSW Film Festival in Austin, I have been chomping at the bit to see it. I was intrigued with the premise, but even more so with the choice of characters, especially the ones writers Giaco Furino and Jenn Wexler decided not to feature. 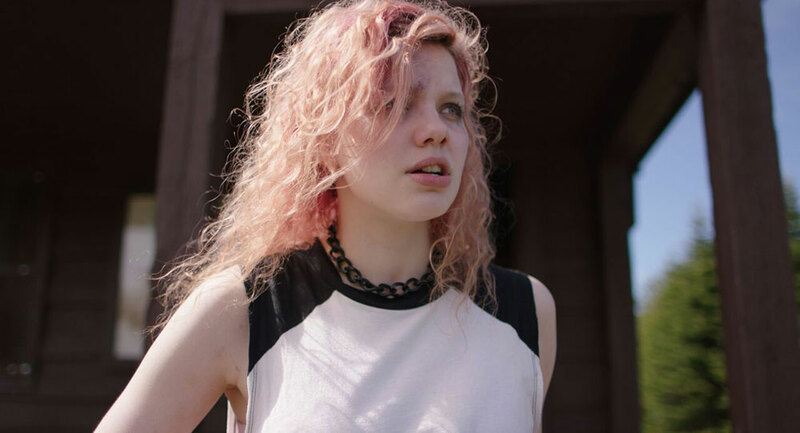 There were none of the stereotypical jocks, geeks, stoners, and dim witted/big breasted damsels within Jenn Wexler’s feature film directorial debut. Instead, her story follows a group of Punks from Jersey who, while getting high on Echo — their hallucinogenic drug of choice, have to flee a Police raid on a show they are attending. One of them, a young woman named Chelsea (Chloe Levine), is cornered by a cop during the chaos with a sizable amount of narcotics in her book bag. However, she is soon ‘rescued’ by her boyfriend Garth (Granit Lahu). This violent rescue triggers a distressing memory within her that we are supposed to tie into the mysterious opening of the film. Luckily for us, Wexler makes this easy to do. So now Chelsea, Garth, Jerk (Jeremy Pope) Abe (Bubba Weiler) and an unconscious and unaware Amber (Amanda Grace Benitez) are forced to jump in a van and speed off before they are picked up by the police. But where to go to escape the city? How can a gang of young Punks successfully hideout somewhere without drawing attention? Chelsea is more than a little hesitant when her beloved childhood cabin in the woods is mentioned as a possible hideout. However, with this option appearing as the only viable choice to the dire situation they have found themselves in, the Punks head to the lush, green wilds upstate. 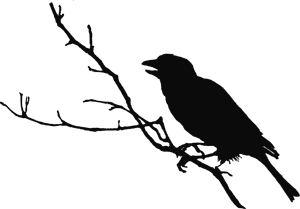 This entire time though, we as an audience are privy to a certain level of backstory with Chelsea. Her memories — and the flashes of feelings these incite within her — continue to make us question just who she really and what exactly happened to her as a child in the very woods that are supposed to provide safety for the group. Now the group, as a whole, is not full of stellar individuals. You may not particularly care for them, and you may even find yourself becoming increasingly enthusiastic at the thought of witnessing their demise. But with all that aside, the film does make a concerted effort to convey a strong sense of loyalty within the group. Like a witch’s coven, the group is bound by a fiercely proud tradition, and there is an ‘honor among thieves’. 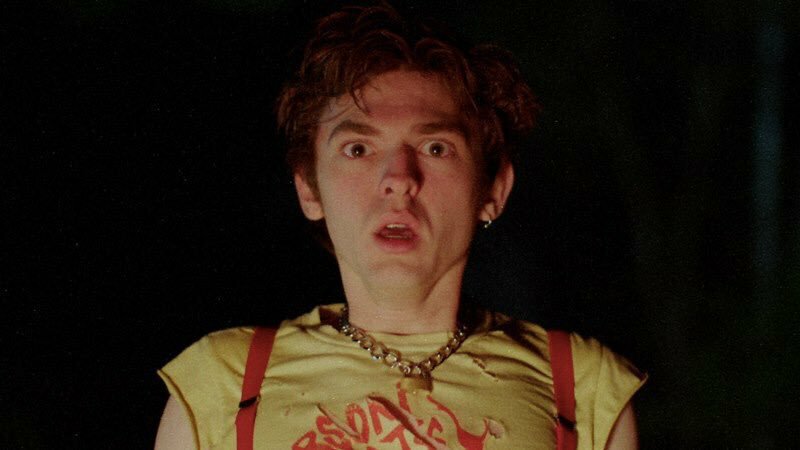 I appreciated Wexler’s attempt to emphasize one of the nobler aspects of Punk culture, even though I did feel that the characters came across as merely glossed over renditions of what they were meant to be. This by no means takes away from the enjoyment one could have with this movie though. ‘The Ranger’ is a solid addition to the indie horror genre and another great example of the increasingly commanding and welcomed presence of talented women behind the camera. It also highlights Wexler’s strong potential as a successful storyteller in the genre. This film does play to one familiar horror trope in a satisfying way, by getting a group of teenagers secluded in the woods. It’s an often revisited scenario, but that’s because it works. As a slasher fan, it’s a pleasure to voyeuristically partake in the senseless killings conducted in a picture-perfect setting worthy of a postcard. I love how the trope plays on the sense of isolation felt in these settings and that feeling you’re secluded and safe from the outside world — only to exploit the false sense of security by revealing how dangerous it really is. Look at our shared love and fear of “The Raft” episode within the celebrated horror anthology Creepshow 2… or the intense and utter isolation felt by the Carter Family in The Hills Have Eyes. But weird lake abominations and nuclear desert inbreds are not the enemy at hand here. Instead, it’s someone else — someone who knows the terrain inside and out, creating a sense of hopelessness for the poor bastards at the mercy of The Ranger. Actor Jeremy Holm decisively and disturbingly plays a low key but strict Park Ranger that harbors some wild, sinister secrets — fueling this kind of confusing, feral tale. It’s clear the Great Outdoors may be the undoing of these Punks, who stay true to form by refusing to follow the rules and regulations enacted by the State Park. Unfortunately for them, these are the same rules obsessively enforced by The Ranger, and the consequences for breaking them are quite severe. Even though I was left with questions at the conclusion of the film, it did not negate my enjoyment while watching it. The ‘face-off’ between Chelsea and The Ranger contained some exhaustive, primal rage elements that were a downright delight and highly entertaining. With its wolves, wicked Rangers and seemingly endless woods, The Ranger is a fun and refreshingly unique romp into the slasher sub genre. Wexler is definitely a talent you’ll want to keep an eye on. Elements of black humor, original characters, unexpected twists, and a killer punk soundtrack give this grindhouse flick both teeth and bite. Fresh on the heels of its Canadian premiere at the Fantasia Film Festival, The Ranger will celebrate a week-long theatrical run at New York’s IFC Center August 17th – 24th, and then in L.A.’s Laemmle Theatre September 7th – 14th. The film makes its UK premiere as the opening night film of London’s FrightFest on August 23rd.